I met up with my college buddy, Pia a few days back at Siphon Cafe, Puregold-Shaw. Since it was our first time at Siphon Cafe, it took me quite a while to decide what to order. 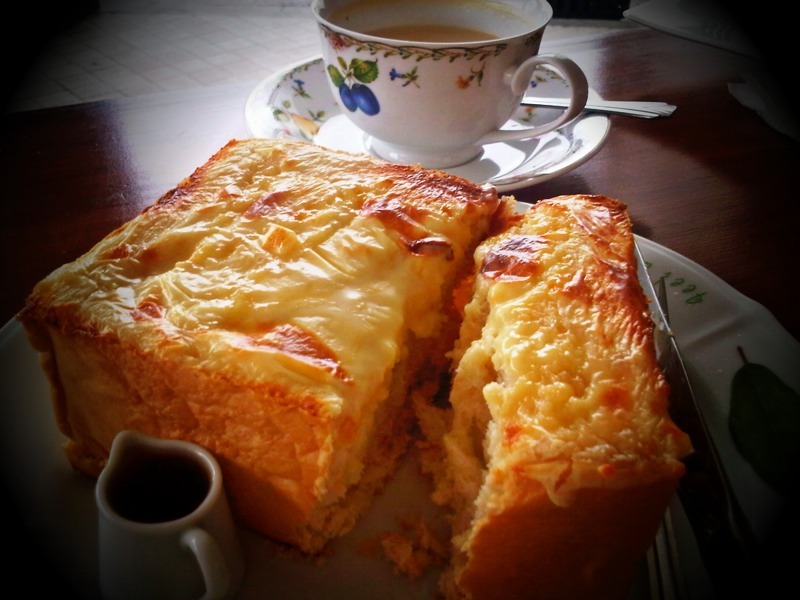 Finally, I settled for Milk Tea and Cream Cheese Loaf with Honey – for the simple reason that the name of the dish sounded delicious. When our server arrived with our food, no doubt it truly looked mmmmm yummy! You won’t see me going back to Siphon Cafe for this particular fare. Perhaps, a different menu item next time. Maybe one of their other offerings will help redeem themselves. From what I’ve heard, their Caesar Salad is pretty good. Consider this post (and my verdict for Siphon Cafe) open-ended for now. your photo betrays your experience, if i must say. it looks sooo good but i guess that’s where the goodness ends (wink).